The source of information on this website may or may not have been from the combined L.A./Multiple Listing Service. The accuracy of information on or through this website via various links, Public Records or other sources are not guaranteed. Those visiting this website are advised to independently verify the accuracy of all information through personal inspection and with the appropriate professionals as the information is deemed reliable but not guaranteed. Searches for properties for sale are represented by various agents/brokers. Searches for sold properties have been represented and sold by various agents/brokers. 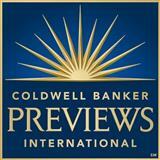 Coldwell Banker Residential Brokerage. Owned & operated by NRT, Inc. Equal Housing Opportunity.